Sprouty and the Planets is not a rock band, but rather the two topics of discussion today, both of which involve school projects Kayla has done. Really, “the Planets” should just be “Venus” but putting Venus in the title of anything is not a good idea these days in the wild world of span. Even searching for Venus on the internet isn’t that great. The first time Kayla tried on her computer, she just put the word “Venus” in the search bar, and since her computer has very strict parental controls, most of the first results were blocked. What she ended up having to use was something like “Venus planet NASA space” to get any results at all. But I’m getting ahead of myself. We need to start with Sprouty. 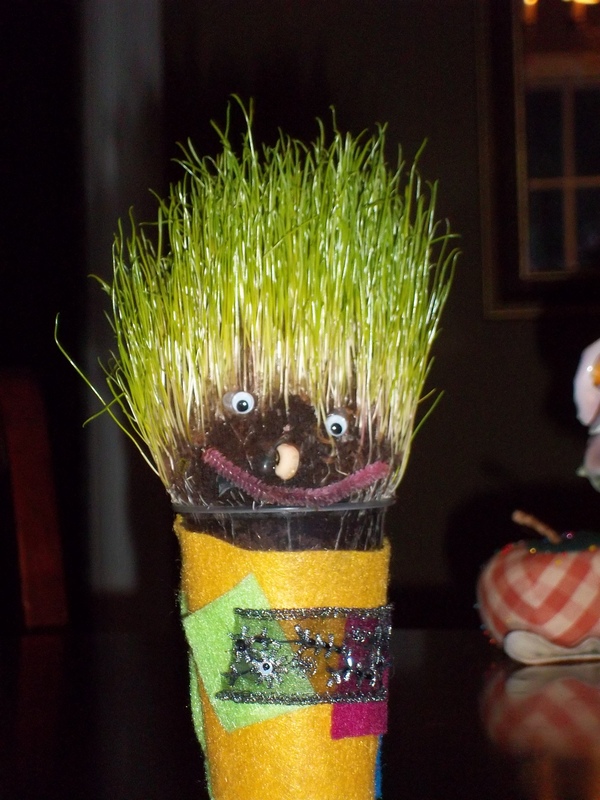 Sprouty is basically a home-made version of a chia pet, I think, but it was done as a school project. If you don’t know what a chia pet is, google the phrase. Then when you come back and ask me why they were such a big deal, my answer will be that I don’t know, but then, this is the same country where the “pet rock” was invented. What really astounded me was to find out that 500,000 chia pets are sold every year, still! 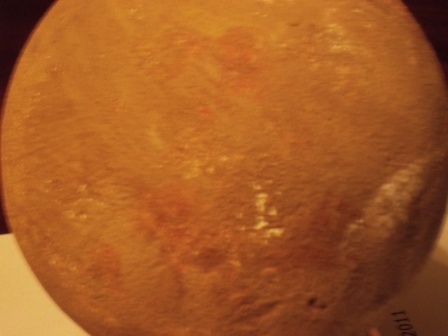 The second science project, which was for a grade, was to either 1) build a model of the solar system, or 2) build a model of a planet and 3) pick a planet and find out some facts about it. 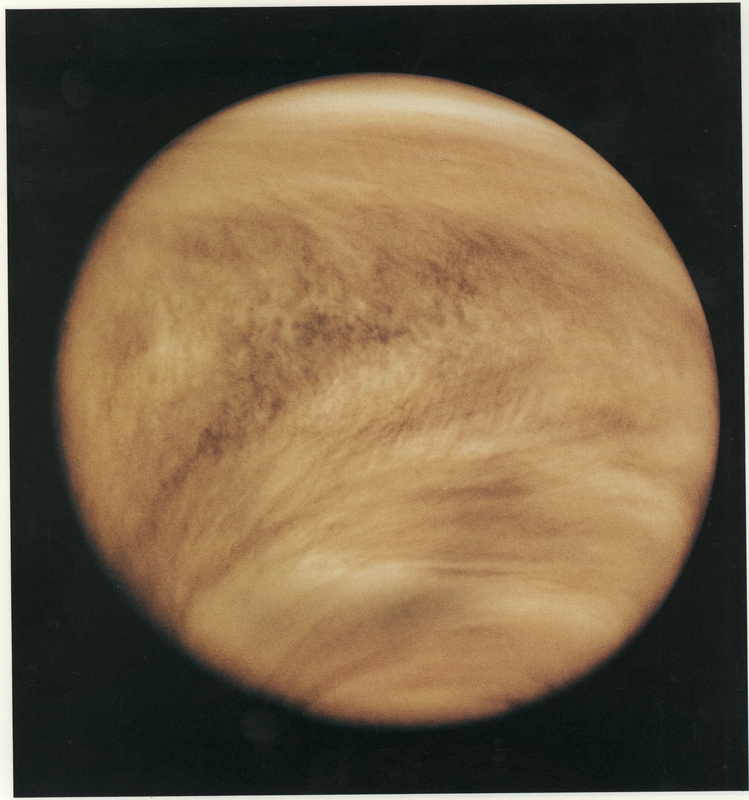 Kayla chose Venus because it was closest to Earth, and set out to find facts about it. The computer search didn’t help a lot, so I reminded her of a “Cat in the Hat” book about the solar system we had bought her years ago that was in her bookcase, and pulled a book out of my book case called The Lives of the Planets. She got her ten facts from them. Since The Lives of the Planets is written pretty much on a layperson but graduate level, I was proud that she was able to pull any facts out of the text at all. I do suspect that she might be one of the only fourth graders in her school to have said and written the phrase “plate tectonics.” Whether she understands what they are is another issue. I did my best to explain, but without a globe handy it was a little tough, and then she got distracted because my hand gestures made me look like I was an Indian attempting to talk in Indian sign language, so she was laughing too hard to pay a lot of attention. 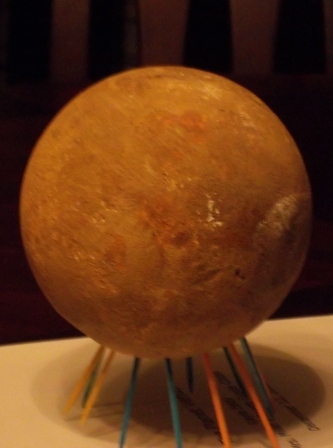 I realize the planets usually do not have toothpicks on which to sit, but at the same time, round objects roll and we needed a way to get the model to sit still! I thought it was a great model, and Kayla’s teacher must have too – she got 100! This entry was posted in Child's Play, working mom and tagged daughter, homework, kids, parenting, school project, the planet Venus, working mom. Bookmark the permalink. Ok, I don’t get the internet and Venus references, I must be more naive than I thought. But Sprouty is adorable. No, you’re not naive. The problem is that Venus was the Roman god of love. I think Sprouty’s cute, too. You should see him today after his first hair cut – he now looks like Sprouty the Conehead! Sprouty reminded the Geezer of some of the places he visited in SE Asia. A couple of the people he ran into in the cities there used a larger version of “Sproutty to grow tomatoes, beans, and peas. Space is at a real premium there. He says it seemed to work okay though the hose would fit “Bigfoot” when they’re done gardening. Hi Sandy! Great to hear from you and the Geezer. I will have to tell Kayla about other countries using versions of “Sprouty” to grow vegetables. Thanks for stopping by! Thanks! She gave Sprouty a hair cut this weekend, and he resembled a Conehead for a little while, but now he is recovering.